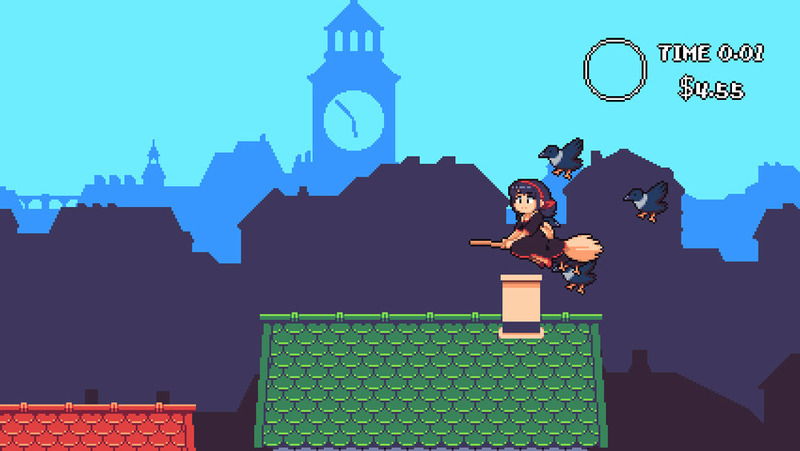 "A bright and fun adventure where you play as a witch in training." 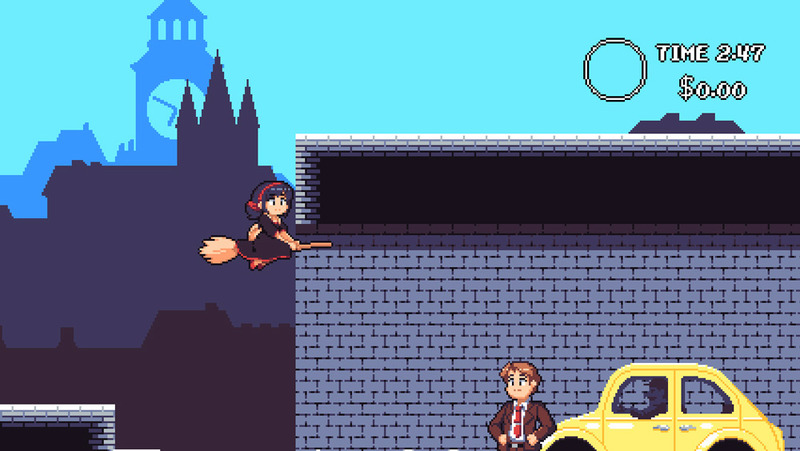 Mimi’s Delivery Dash is a simple yet invitingly animated and fun game where you play as the titular character Mimi, who may be some kind of witch…not an evil one but she definitely rides on a flying broomstick however her job is less of witching and more of a mailman (or woman) and as you control her your job is to collect items from members of the town and then deliver them to other people in the town who are in need of those items. 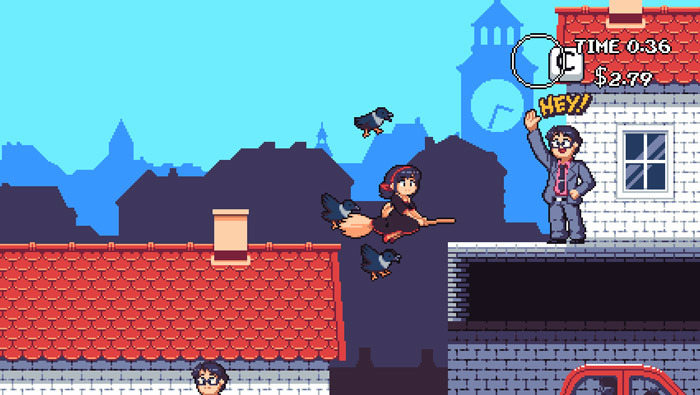 Although the game play doesn’t change much it’s a game which is really easy to pick up and get used to and should appeal to gamers of all ages, however there are enemies (of sorts) in the crows that will attack you should you stay stationary or go too slow on your broomstick. When you do pick up items from customers and deliver them to others you will be tipped by the recipient of the item and the money you make reflects kind of a high score, of course the faster you make the deliveries the more money people will give you. Overall Mimi’s Delivery Dash is a fun game if you’re looking for something simple to play but it’s repetitiveness may mean you don’t spend too much time with it. You can download Mimi’s Delivery Dash here for free.